Not far from the French border, the Dents-du-Midi range towers over the mountain villages of Troistorrents, Val D’Illiez and Champéry. For years, the circumnavigation of this range in a day was a test piece for the Swiss military. Entirely on paths, this is very much an alpine race, with remote sections on the far side of the range. 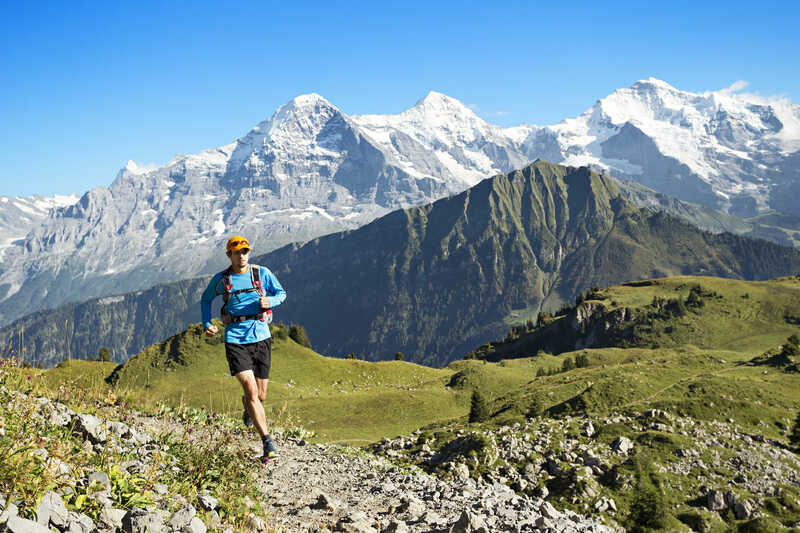 Starting and finishing in the beautiful village of Champéry, the course passes by several huts, climbs over two cols high above treeline, and runs through the tiny, picturesque hamlet of Mex. Be ready for stiff climbs, with a total elevation gain of 3,700 meters! It is possible to do the 57km in a relay (relais) or over two days alone (Trail découverte) or the 32km race with 1800m of uphill.